I am fortunate to have a father who raised me as a strong confident woman. Who would tell me daily I was beautiful, but remind me that “pretty is as pretty does” and that true beauty was on the inside. A father who supported my time consuming USS swimming career, didn’t tolerate whining and who actually chose to watch WNBA games. Because of this, I never thought I was growing up in a “man’s world”. It never crossed my mind there were things that were for “men only”. I always viewed the sky as my limit. Except when it came to my body. Unfortunately, our society often chooses to focus on an unrealistic image ideal driven in part by a $40 billion dollar diet industry. Like the majority of “healthy living bloggers”, I’ve had my struggles with body image and disordered eating and blog to try to pass on what I’ve learned from my struggles. One of the most important lessons I have learned is to take pride not in how your body looks, but the amazing things it is capable of doing. If your only goal is to “look skinny and hot” you will never be happy, as you can always find flaws no matter who you are. I grew up swimming on a USS Team and playing water polo. I’ve run half marathons and 5ks. But the idea of fueling my body properly to perform, not to look skinny, never struck home until I started lifting. I set goals for myself (be able to do wide grip pull ups, squat my body weight, etc) and I found that on days when I hadn’t eaten properly, I simply could not perform at the level I wanted to. In order to gain the muscle I needed to, I had to eat more and couldn’t be dieting or restricting. The sense of pride I got in achieving my goals took control of my desire to be thin and I began loving my body for its accomplishments. The idea that your body is not your enemy seems like a simple concept, but for millions of women it’s an incredibly hard concept to grasp. So by now you’re probably saying: Fiona, I thought this post was going to be about CrossFit? And first, I’ll thank you for reading this far. And then, I’ll show you that it is. I decided to give CrossFit a one month try starting the second week of February. First, because a new Box (that’s CrossFit speak for gym) opened up in my town so they are offering a discounted month (hello, I do live on a student budget). Second, because it’s something I’ve been curious about for a long time. I’ve been curious to try CrossFit not because of the workouts themselves. 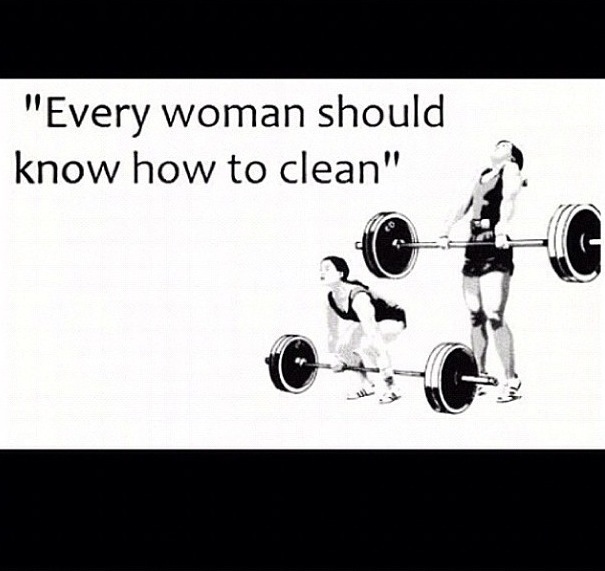 I do plenty of cleans, and squats, and kettle bell swings on my own. That’s not something unique only to CrossFit. I’m joining because I want to be a part of the community. I want to be surrounded by men and women who support strong bodies to fuel strong minds. I’ve had a lot of arguments with people I know about CrossFit. They argue that it’s a cult, that the instructors aren’t well trained, that people are bound to hurt themselves. I respond by saying that yes, it’s possible to have an instructor who doesn’t know the proper form. Yes, the culture of doing AMRAP (As Many Reps As Possible) can encourage people to get lazy with their form. 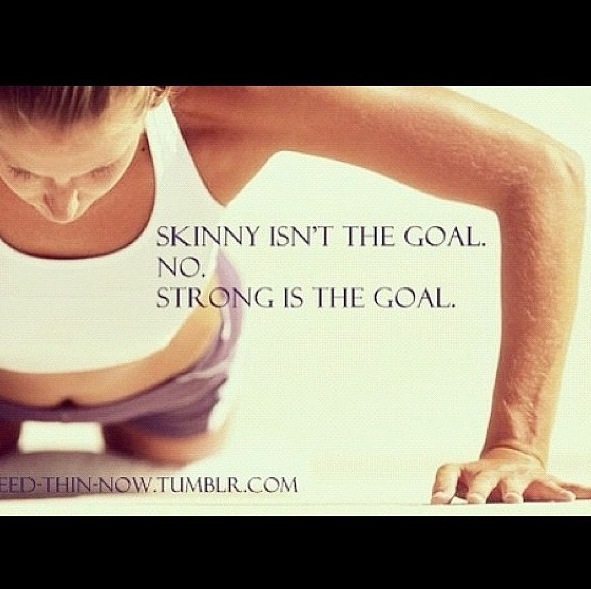 But this is the case if you go to the gym as well. You need to be careful and knowledgeable about the physical activity you are doing no matter what it is. I know so many girls who are scared to enter a weight room because they don’t know where to start and are scared of being judged. 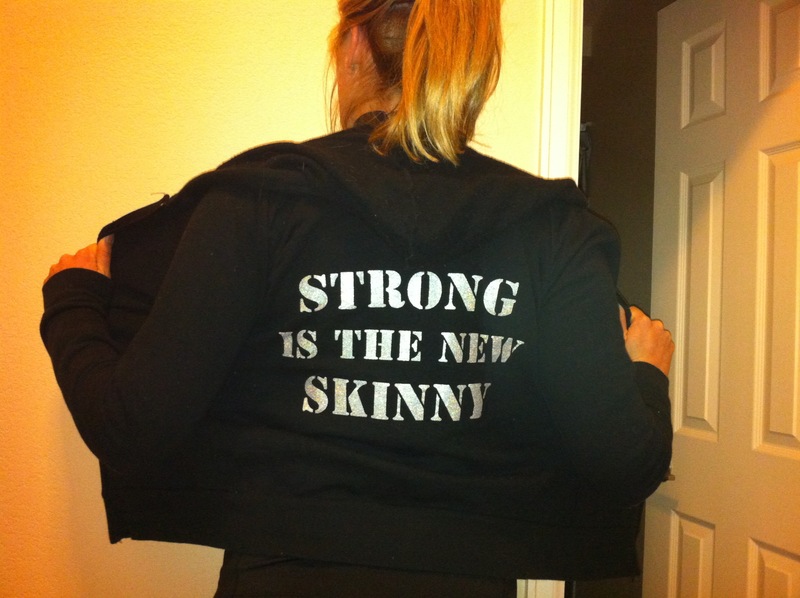 I applaud CrossFit for being a place for those women to go to start their fitness journey. I’m excited to be surrounded by supportive people who have taken the same commitment to improving their quality of life through fitness as I have. I’m excited to be surrounded by women who view their bodies, no matter the size, as something to be proud of and something to admire. Kilbourne, J., “Slim Hopes,” video, Media Education Foundation, 1995. This entry was posted in Fitness, Workout and tagged Body Image, CrossFit, fitfluential, Fitness, Healthy Living, Paleo, Workout by fionaboger. Bookmark the permalink.